I had used Medimix Classic and Pears throughout my childhood and quite loved it. After that my liking towards body washes and shower gels grew. Recently I am using and loving organic and moisturizing soaps a lot. I came to know that not all soaps are harsh and harmful and now we have tones of mild soaps in the market. 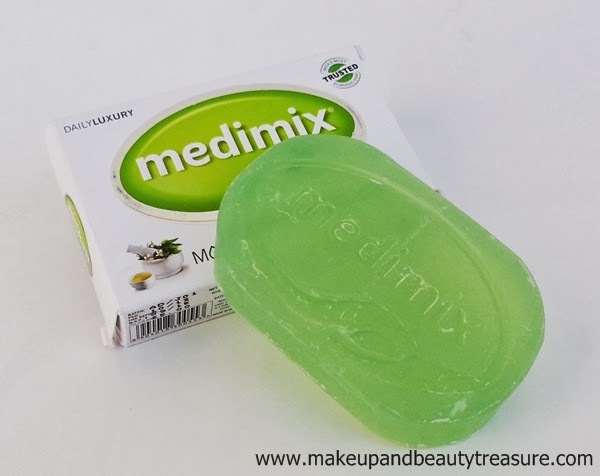 Today I am going to discuss my experience with Medimix Moisturising Soap. 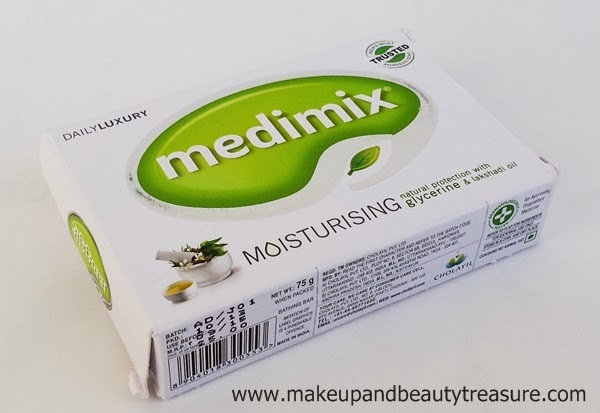 Medimix Moisturising Soap comes in a white cardboard box packaging with all the information printed over it. The actual product comes sealed in a plastic wrapper. As soon as the soap is unwrapped, you are greeted with a strong yet lovely scent. Although I cannot detect the scent, I think it might be the lovely aroma of lakshadi oil. 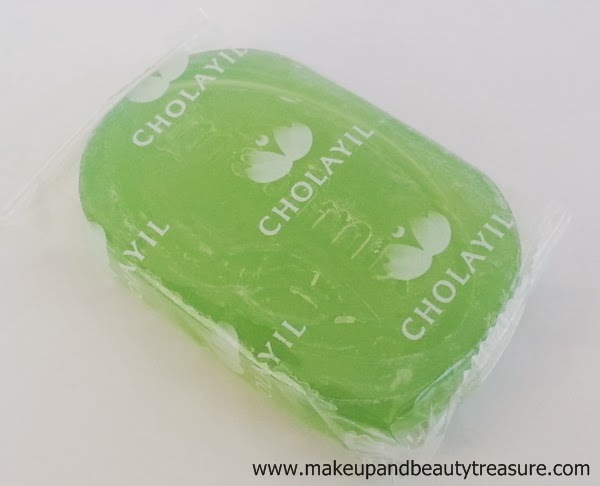 The soap is light green in color and has an oval shape. 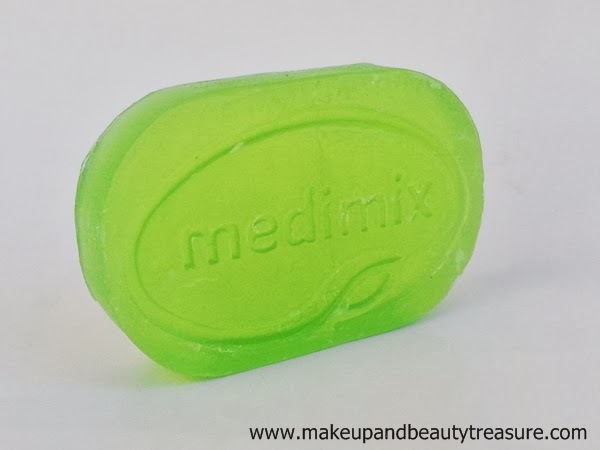 As Medimix Moisturising Soap is glycerin based soap, it looks somewhat translucent. It is stamped with ‘medimix’ logo on one side. I always use a body sponge or scrunchie when bathing and a small amount of soap is needed to create a rich lather. The scent does not tend to intensify and feels nice and refreshing. It gets easily rinsed away and does not leave greasy or sticky residue behind. It feels mild and gentle on the skin. It does not dry out the skin unlike other soaps and would suit all skin types except very dry skin as it is not super moisturizing. It removes all dirt and grime off the skin. It leaves my skin feeling fresh, clean, smooth and moisturized. Although it does not make my skin dry and rough but I have the habit of applying body butters anyways. The lovely fragrance fades away as soon as the soap is rinsed away and does not tend to linger on the skin. It does not bother me as I am not a fan of highly fragranced products. It contains glycerin and lakshadi oil that keep the skin moisturized and hydrated. The soap does not turn soggy or messy in the soap dish which is an added bonus. As it is glycerin based soap, it does not tend to last long but I do not mind as the price is quite reasonable. I have not faced any adverse effects whilst using this soap. • Makes skin fresh, smooth and hydrated. • Contains good ingredients: glycerin and lakshadi oils. • Might not suit extremely dry skin. 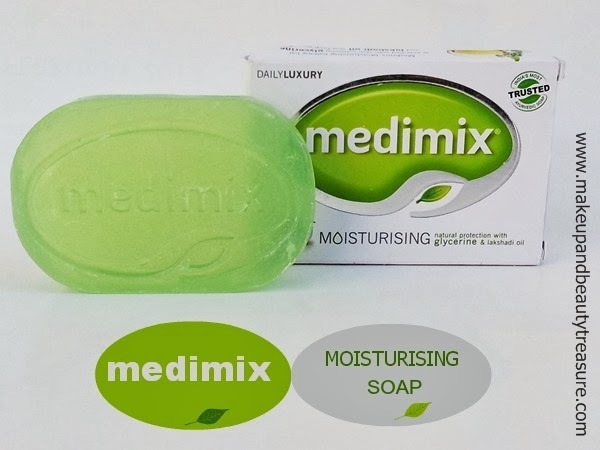 Medimix Moisturising Soap is an effective pocket friendly soap that keeps your skin fresh, clean and moisturized. It does not dry out the skin due to the presence of glycerin and lakshadi oil. The scent is wonderful and fresh but does not tend to linger with the skin. Overall I am really satisfied with this soap and would happily recommend it to everyone! 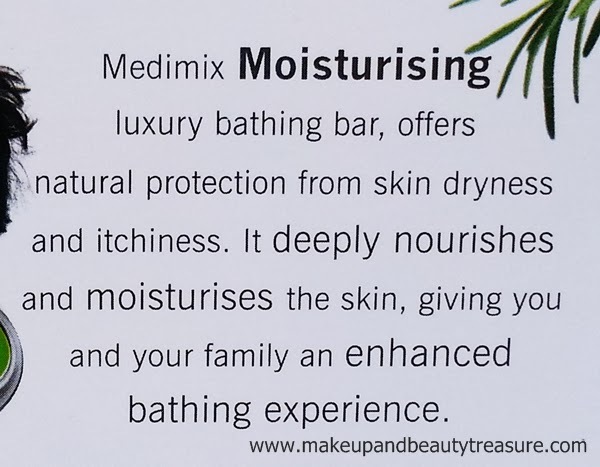 Have you tried Medimix Moisturising Soap? How was your experience? Share in the comments section below!